Greece sold its soul to the Troika abandoning what its people want most – an end to punishing austerity, government representing them, not Western bankers, a chance for a better future. No matter what ruling coalition emerges from Sunday’s snap election, anti-populist business as usual will triumph, serving monied interests exclusively, imposing greater austerity than already. The race is too close to call. Most polls show Alexis Tsipras’ SYRIZA party and Evangelos Meimarakis’ right-wing New Democracy in a virtual dead-heat – at around 32% support, a statistically insignificant 1% differential between them. Seven other parties are competing: right-wing PASOK, Potami, and Independent Greeks, neo-Nazi Golden Dawn, the Communist Party of Greece (KKE), Union of Centrists, and Popular Unity headed by former SRYIZA energy minister/vocal Tsipras critic Panagiotis Lafanzanis. None have more than single-digit support – once powerful Pasok a meager 5%, Popular Unity lower at 3%. Either SYRIZA or New Democracy will form a new government with coalition partners – maybe each other. Not a dime’s worth of difference separates them ideologically, each solely beholden to Western banker interests and their own. After forming a coalition government in January on an anti-austerity platform, Tsipras surrendered unconditionally to Troika demands – imposing harsher austerity than right-wing governance preceding him. Expect nothing different ahead under coalition governance led by SYRIZA or New Democracy. 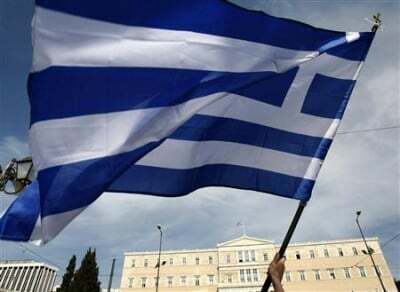 Greece is a banker occupied colony. Social genocide is official policy. Democracy died in its birthplace. Protracted Depression conditions persist. Nothing in prospect looks hopeful. Early Sunday, Reuters reported “weary voters” headed to the polls for the third time this year. The Wall Street Journal said “(w)hoever wins will find their policies heavily constrained by Greece’s latest bailout plan, which (SYRIZA and New Democracy) promise to uphold.” The Financial Times highlighted “fragile coalition governance” emerging from Sunday’selection. Everything is possible…We are fighting for a great victory of the left in Greece and to maintain hope across Europe. He blasted Tsipras, saying he admitted agreeing to “a terrible package,” claiming he’d “implement it a little better than the others…” It’s “not the path I am prepared to walk,” he explained. If God and his angels came down to produce a reform package for Greece, the Troika would have turned it down it down, because they were interested in humiliating us and demonstrating to the people of Spain and Ireland that if they vote in the way that the Troika doesn’t like, they will be crushed. The only uncertainty about Greece’s future is how much worse things will get than already. It’s hard imagining anything in prospect able to end its long nightmare. The only solution would be a popular grassroots revolution.